Tow truck drivers impact your towing insurance premiums. The risks involved in professionally operating a tow truck are much greater than the risks of operating a personal vehicle. For this reason, it should come as no surprise that premiums for your towing operation will be higher, simply due to the exposure. But did you know that the drivers you employ and their respective driving histories play a fundamental role in the underwriting process and in calculating your premium? Below, we’ll cover what you need to look for when hiring drivers that can rate up your premiums, or even prevent you from getting coverage. Besides obvious infractions, many insurance companies will consider the number of years of driving experience, and in some cases, specific tow truck operating experience that your drivers must have in order to be covered under your insurance policy. They may also want to know if any of your drivers have Commercial Driverss Licenses (CDL). Drivers who are in possession of a CDL are considered a true asset to your business due to their training, and insurers look favorably on the number of commercially licensed drivers you hire. This in turn has a direct (and overwhelmingly positive) effect on the cost of your insurance policy. To ensure you’re not exposing yourself to unnecessary risks, make it a routine to obtain a copy of every potential employee’s motor vehicle report (MVR) before you hire them. This should be a standard best business practice for any type of towing operation, regardless of the type (salvage, recovery, impound, roadside assistance/motor clubs, repossessions, etc.). Keep in mind that if you do opt to hire someone with a questionable driving history, your insurance carrier may decide to file a driver exclusion form, prohibiting that individual from operating any company vehicles covered under your policy until which time specific infractions fall off the MVR. However, you must adhere to the exclusion. If you don’t, you’re putting your business and future insurability at risk. 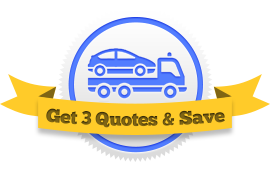 At Tow Truck Insurance HQ we can help you get the best deal on your policy by bringing 3 tow truck insurance brokers to you to compete for your business.